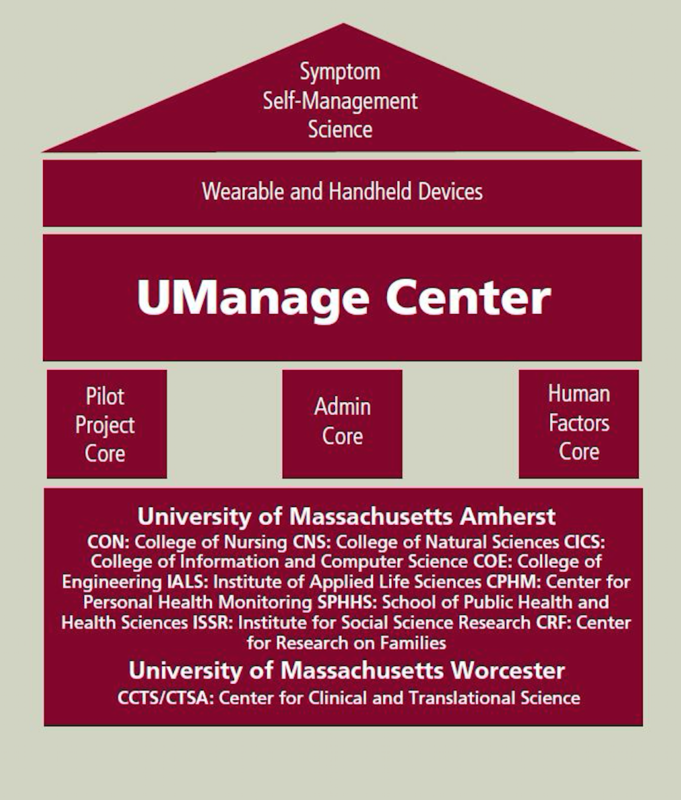 The UManage Center for Building the Science of Symptom Self-Management is comprised of a team of interdisciplinary scientists at the University of Massachusetts Amherst seeking to develop technologies to help people manage symptoms of chronic illness focused on fatigue and impaired sleep. The UManage Center is funded by a five-year, $1.23 million grant awarded to the College of Nursing at UMass Amherst by the National Institute of Nursing Research (NINR). Its overall goal is to build capacity for managing symptom self-management by developing wearable, handheld, or other advanced technologies for the early self-identification, self-reporting, and self-monitoring of symptoms to decrease the functional limitations of chronic conditions, thereby improving overall wellness and reducing health-care costs. Studies will test such devices and technologies to monitor fatigue or sleep-pattern changes and help patients decide when and how to modify their activities. To achieve this, the UManage Center is funding 10 pilot research studies over five years that offer nurse-led interdisciplinary teams the opportunity to develop strategies to help individuals improve their health, design larger, population-based studies, and expand their research capacity to work with interdisciplinary research teams. The UManage Center philosophy is to empower patients and their family members to self-manage their chronic conditions, instead of making healthcare professionals responsible for directing patients’ care. By starting with patients’ and their family members’ needs, we address what individuals actually need rather than what clinicians think they need. 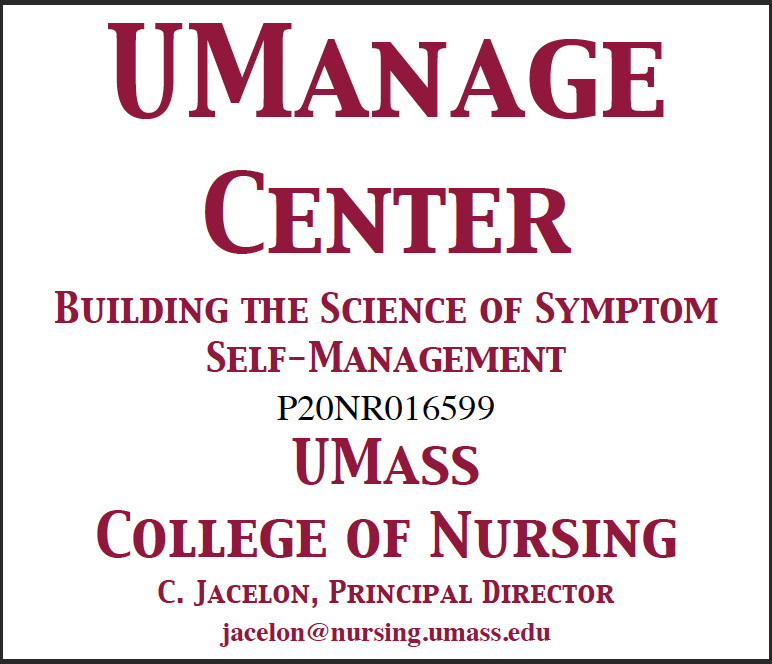 You can contact the UManage Center by emailing UManageCenter@nursing.umass.edu. Solicit and select meritorious pilot projects directed at the self-management of symptoms to manage, prevent, alleviate, or eliminate fatigue and impaired sleep. Incorporate human factors considerations into the wearable and handheld systems used to monitor fatigue and impaired sleep by individuals.